The ultimate grilling board with channels and moat. 1.5" thick, weighs 4 lbs! 1-19 pieces, $100. 20+, $85. 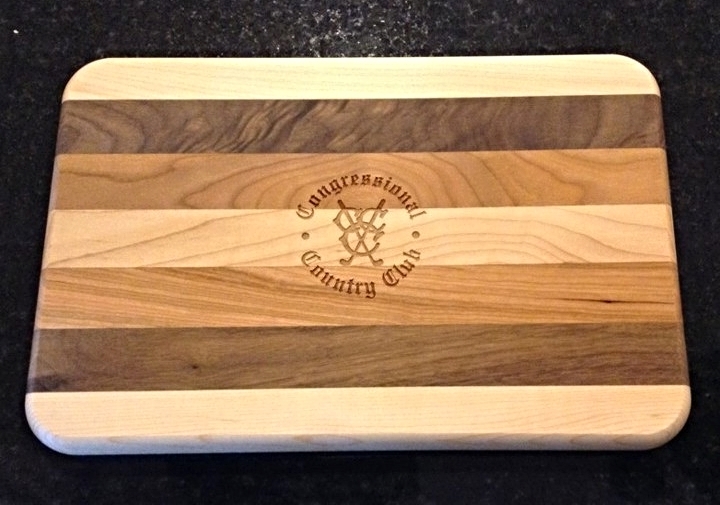 Solid Maple Cheese board (shown for LH) - $45. Our collection of solid american hardwood cutters make excellent Tee Gifts & Flight prizes. Useful and attractive, these domestically manufactured, food-grade boards are available at a variety of sizes and price points.